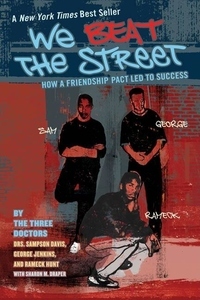 Growing up on the rough streets of Newark, New Jersey, Rameck, George, and Sampson could easily have followed their childhood friends into drug dealing, gangs, and prison. But when a presentation at their school made the three boys aware of the opportunities available to them in the medical and dental professions, they made a pact among themselves that they would become doctors. It took a lot of determination--and a lot of support from one another--but despite all the hardships along the way, the three succeeded. Retold with the help of an award-winning author, this younger adaptation of the adult hit novel The Pact is a hard-hitting, powerful, and inspirational book that will speak to young readers everywhere.